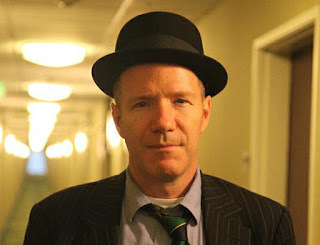 CAROLINELEAVITTVILLE: The acclaimed Rick Moody talks about his profound, wry, heartbreakingly funny new novel, Hotels of North America, David Bowie, Charlie Kaufman, lifecoaching and so much more! The acclaimed Rick Moody talks about his profound, wry, heartbreakingly funny new novel, Hotels of North America, David Bowie, Charlie Kaufman, lifecoaching and so much more! Rick Moody is the critically acclaimed and fiercely loved author of The Ice Storm, Purple America, Demonology, The Four Fingers of Death, The Black Veil, and Garden State. His new novel, Hotels of North America, unfolds the life of one middle aged man through the reviews he posts about the hotels he stays in--and it's witty, heartbreaking, and profound. He's going to be reading AND SINGING at Hoboken's Little City Books this Saturday at 8. All you have to do is buy one of his books! Details here. 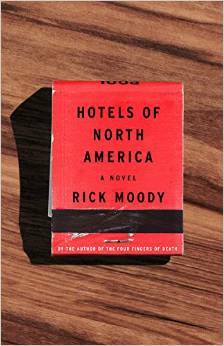 I'm so honored to host Rick Moody here. Totally jazzed! Thank you so much, Rick! Are you a Charlie Kaufman fan? Because your novel seemed the perfect companion piece to Anomalisa--the same tug of hope, the same dreariness of the hotels, the same sadness of the middle-aged man desperate for love and purpose, but not finding it. I haven’t seen it yet! Nor did I know about it—the idea, the conceptual apparatus, until a few weeks ago—so I really don’t know what to think, excepting that perhaps we were thinking about like issues in a similar way. I do know his work pretty well, in that I believe I have seen everything he worked on till now. I truly loved Being John Malkovich, and Adaptation was also a thing of great beauty, as far as I’m concerned. It hit very close. Perhaps its hitting so close is an indication that Kaufman and I shared certain thematic interests back then as well. I will now voice a slightly unpopular opinion, however: I felt like Synecdoche, New York went too far. There were moments I admired greatly, and the performances were marvelous, but I felt like it was an example of the conceptual thinking outstripping what was possible for the audience. I admired that film but I didn’t feel the ungainly human passions while watching it. I was kind of happy when it was over, because it strayed so far from what was very, very moving at the outset. This is all to say, however, that there are certain filmmakers of the recent generation—Spike Jonze, PT Anderson, Miranda July, they would all be examples, and I would include Kaufman even though I like his writing perhaps better than his direction—who have been important and influential for me. I feel like I get where they are going. I want to try to get to similar ideas. Reading about the hotels was hilarious (I once was in a hotel that had a “Leave your gun in the car” sign on the front desk.) How much was from your own touring and how much was made up? Probably fifty percent made up. I was travelling a great deal in 2012-2013. My wife is a photographer, and she was involved in a project that required her to travel a lot, and I went along on many of her missions. I also traveled a fair amount myself while writing the novel. Many hotels in the novel were actual hotels I visited or very near to hotels I visited. Others were hotels I have passed frequently, and I always wondered what they were like inside. Now and again I completely made up a hotel. All of them were subjected to the spin cycle of imagination, especially in view of the fact that the reviews are more about Reginald Morse than they are about the hotels in any event. Really, what I wrote is what he’d think about them, not what I’d think about them. What was writing the book like? Did you always know this was going to be the form? Do you write in bursts or do you take it slow and steady? I discovered this one, more so than the others. It didn’t yield its secrets immediately. I knew I wanted to work with online reviews, and I knew pretty quickly that I would be dealing with this guy, the reviewer, but the contours of his life and times were revealed over the course of things. It took about two years to figure out how/if it was really a novel and not just some strange hybrid. I threw out like fifty additional pages that didn’t contribute enough to the story, such as it is. I wrote in little bursts, in answer to your last question, in part because it was the first novel I could finish since my daughter was born. I had to evolve a technique that made possible the interruptions of a child. I was delighted to know you are a bonafide life coach. So how does one engage your services? And do you ever think anyone is hopeless? Could you help Reginald Morse? 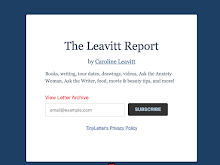 The life coachery happens these days on LitHub.com. I believe if you write to me at rickmoodythelifecoach@gmail.com it will get to me. I confess that the backlog is signficant right now, there are a lot of letters, and I sift to find things I want to write about. But if there is an urgent need, a life or death issue, I also sometimes answer directly (not in public), and try to help out as much as I can. I do not think anyone is hopeless. All that is human is beautiful and worthy of celebration, even the keenest despair is beautiful, because it is so human, and so often ignored or suppressed. Hopelessness, that is, is a kind of rigorous imagining, and therefore you can appreciate it, appreciation its purity, and perhaps the appreciation itself, the observational appreciation of a life coach is useful. The life coach, in this case, just tries to be a decent listener, and to treat his correspondents with respect. And all free of charge. He is a coach, that is, who believes in his wards, and thinks the best of them, regardless of their circumstances. In one NPR interview you said something fascinating: “If we had more time, I could persuade you that any number of totally non-novelistic things are, in fact, novels. Please, persuade me! The novel is a magpie form. It’s the thing made out of words that steals from other forms. More and more it can be seen as a form that doesn’t even have to consist exclusively of words, in fact (because, e.g., BUILDING STORIES by Chris Ware, is as good as any contemporary novel, and so is Gloeckner’s DIARY OF A TEENAGE GIRL). The online medium makes clear that you could even include some music and a bit of video. (See, for example, the recent album by the SF band The Size Queens, To the Country, which also exists as an iBook, as a very sterling example of a multimedia novel/album/collection of stories, as well as an album of songs.) There are novels, now, that are clearly poems (The Golden Gate, by Vikram Seth), and poems that are clearly novelistic (Claudia Rankine, Citizen), and that’s without even getting into the question of whether something has to be fictional to be a novel. 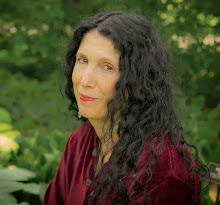 Is Anne Carson’s Nox a novel? Sort of, yes! Okay, well, let’s summarize, it can be in any medium, it doesn’t need to be words, and it doesn’t have to be made-up. So almost anything could be a novel then! From a certain angle all that great Golden Age television is palpably novelistic: The Wire, and so on. Structured just like a 19th century novel! So the novel is more an idea of scale and ambition than it is about form. Or, from another vantage point, I always say that a novel is a thing that employs time to do its job, and usually in some way it’s about time+bodies. There are no other requirements. The work of the late great songwriter called David Bowie, perhaps that is uppermost. But maybe in a way I am not as obsessive as when younger, and the thing that really gets me in middle age is not some cultural production upon which I can fixate (though these things are nice), but rather the simple interactions of the humans out there in the world. I like things that are poignant. But perhaps poignant and unsentimental at the same time. For example, the moment in Frankenstein that is really great is when Victor dies, and the monster comes upon his body and realizes that his own systematic and murderous course of vengeance is now at a close. Instead of delighting in his mission accomplished, the monster gives a cry of terrible woe: he has lost the thing that gave him purpose, and what can he do now? What do you imagine Lazarus felt when he was resuscitated after four days?